DAY TRIPS, FAMILY ACTIVITIES AND MORE! This Mediterranean island may be small, but it certainly has a lot to shout about. Malta holidays  boast  sandy beaches, centuries-old sights, sophisticated towns and a spectacular nightlife scene - not to mention its unspoilt beauty and traditional charm. We've rounded up 8 things to do in Malta so you can discover why this  once unsung  holiday  hero is now a mighty hotspot - whether you’re visiting with family, friends or on  couples holidays,  you’ll find entertainment for everyone. Wondering what to do in Malta? The Maltese Islands’ clear blue seas are ideal for swimming, snorkelling and scuba diving and with a medley of colorful reefs, caves and wrecks it’s no wonder these waters are such a big hit. There’s a bunch of diving centres dotted around the island that offer PADI courses, you can take your pick and learn how to become a pro. The Madonna, Anchor Bay Cave, Paradise Bay and The Right Arch are some of the best diving sites you'll find in Malta, where you can spot fantastic marine life including Octopus, Stingray, Parrot Fish and Bream. A trip to the famous Blue Lagoon on Comino Island will take your breath away. Head to the historical capital of Valletta and take a walk along its great bastion walls. This has been the main entrance to the city since the mid-16th century when the Knights of St John built them and they offer some spectacular views of the Grand Harbour and Fort St Elmo, at the far end of the peninsula. Hop on a colourful wooden boat (traditionally known as dghajsa) and enjoy a tour around the harbour walls, too. Want to know where to stay on the island? Discover the  top five hotels in Malta  and why they are so dreamy! Malta’s rugged coastline boasts a mixture of pretty pebbled beaches and sweeping sandy bays, so you’ll have plenty of options when you want to spend a day by the shore. Mellieha Bay is the island’s largest stretch and its Blue Flag status makes it a winning destination for sunbathers, swimmers and sandcastle-builders. Bugibba’s buzzing seaside town is also a hot spot for sand-lovers thanks to its popular Perched Beach, with soft sands and clear waters. If you’re a fan of Jazz music, Friday nights at Bridge Bar are a must. With the Grand Harbour as a backdrop, jazz musicians from around the world gather to play live sessions on the bridge while audiences watch from the candlelit steps above Valletta’s Victoria Gate. The atmosphere is a mixture of laid-back and lively and the picturesque setting makes for an elegant evening of entertainment. Why not make an evening of it and dine in one of our favourite restaurants in Malta? If you’ve got the kids in tow on  family holidays  (or if you’re a big kid yourself), a trip to  Popeye Village  should be at the top of your to do list. Mellieha Bay is where you’ll find the original Popeye movie set of one of our favourite childhood TV shows and meet the spinach-loving sailor man and his friends! You’ll even get the chance to be part of the action with its daily filming activities. Afterwards, hop next door to Anchor bay or explore the nearby beaches and coves. There's more fun to be had with our guide to the most amazing places to visit on Malta with the kids. A visit to the Splash and Fun Waterpark in Naxxar is a must on your family-friendly holidays in Malta. Bounce in the indoor castles, whizz through the Black Hole or, if you fancy a slower pace, float leisurely along the Lazy River. When hunger strikes grab a pizza at the café or stick around for hosted games and barbeque nights! Whether you fancy a change of pace or an exciting day out, hop on a boat and explore Malta’s islands. 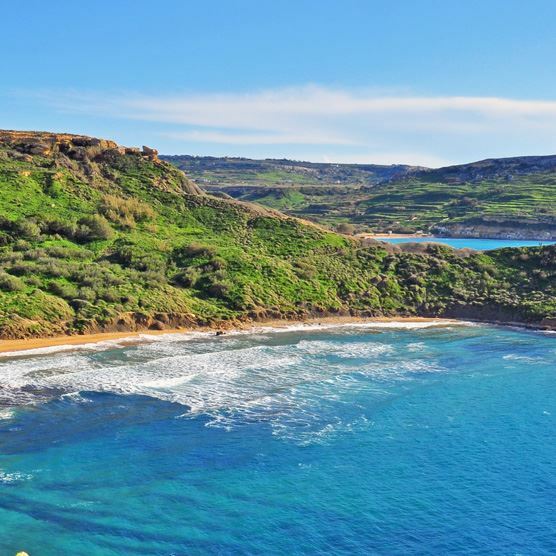 Gozo is only half an hour away by ferry and is even more unspoilt than its big sister, with sleepy villages, rugged coastlines and traditional vibes. The tiny island of Comino is also worth the trip for its beautiful natural attractions (including the Blue Lagoon), breathtaking scenery and sheltered beaches. This medieval jewel was once the capital of Malta and it certainly has some sights to show off. Stroll down a labyrinth of cobbled streets lined with beautiful architecture, noble homes and charming restaurants. The silent city’s main square is stunning and worth a stroll during the day, but make sure you go back when the sun sets for an atmospheric evening. If you’re a history lover, the island is dotted with ancient delights worth exploring. Malta’s prehistoric temples are some of the oldest in the world and luckily for us they’ve been remarkably preserved, making them a must-see attraction while you’re here. Mnajdra and Hagar Qim are easily accessible and offer spectacular views, or if you prefer to delve a little deeper, why not head towards the ancient burial ground and UNESCO-listed site of Hal Saflieni Hypogeum, where you’ll discover numerous carvings etched on the tomb walls.